With Jon Stewart completing his Daily Show hosting duties earlier this summer, many people were asking what the comedian, 52, would do next in his career. Although in recent interviews, Stewart said that he wasn’t sure what his next move would be, apparently he had a secret he was keeping all along. Most political analysts say that Stewart doesn’t hold a chance of getting a party’s nomination, but many voters seem to disagree. 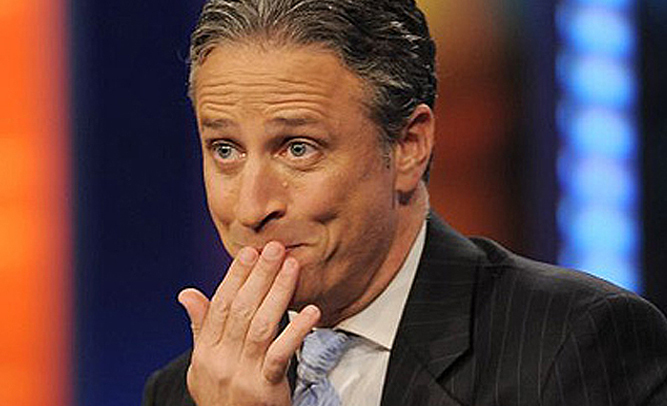 “There is no one on this planet I would rather vote for than Jon Stewart,” said Twitter user DailyShowLuvr. Stewart says that the has no idea what platform he’s going to campaign on, but that he’s well aware of where he stands on each and every issue. “It’s the exact opposite of whatever Trump is about,” said Stewart.